The music has ended, the sparklers have burned out, and the lights in the reception hall have turned back on… your wedding is officially over, what a beautiful whirlwind! But now what? You have put so much hard work, love, and money into this day, how else can your keep these special memories close to you and what will you do with your gorgeous gown and bouquet? Preservation may be something that hasn’t been on your radar, but after we sat down and talked with Lisa from Floral Keepsakes it is a definite must for every bride! Here are some great tips, tricks, and ways you can preserve your special items in all different types of ways! YJ: How long have you been in the wedding preservation business? 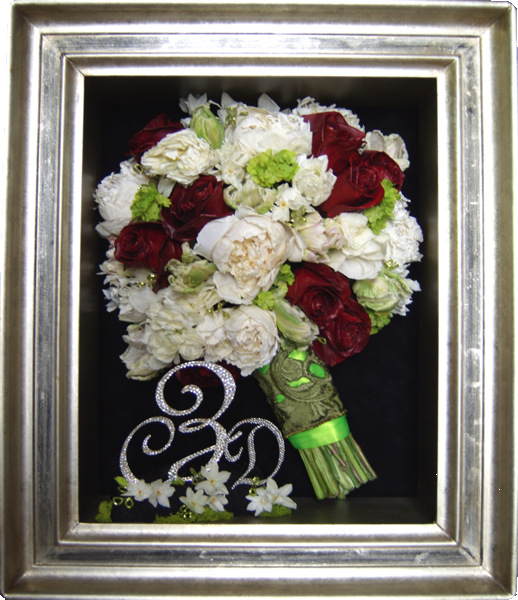 FK: Floral Keepsakes has been preserving and framing wedding flowers and gowns since 1988. YJ: What is the best thing a bride can do after the wedding to help get her flowers ready for preservation? FK: Number one rule: keep them in water! During the wedding, the bride’s bouquet will be in and out of water (photo shoots, walking down the aisle, etc.). If the bouquet is a hand-tied style, most likely it will be delivered to you in a vase of water. Try keep it in the vase when you are not using it. After the reception it is important to give the stems a fresh cut and place back in the water, (this allows the flowers to rehydrate better). If the stems are wrapped with ribbon, no problem, you can remove the ribbon and give them a cut, we can always re-wrap it. Keep in a cool place. If a refrigerator is available, this is the best option. You want to mist the flowers with water, put a light weight bag over them and keep them stored in the refrigerator (in a vase of water of course). It is important that the refrigerator isn’t on the coldest setting, you do not want the flowers to freeze. Keep them from touching the side walls if possible. If the bouquet is a cascade, pour water into the holder (which contains a foam the retains water) and follow the same instructions as for the hand-tied. If for some reason you have put your bouquet in the freezer, don’t despair, there is still hope! You would need to keep it frozen during the trip into our store. Fill a cooler with lots of ice or dry ice, give it time to cool down, then place your bouquet in it. It is very important that your flowers remain frozen until arrival to our store. If they defrost, they will most likely turn brown. Give us a heads up that you will be bringing it in and we can take care of it right away. We have preserved many bouquets that have been previously frozen and they turn our beautifully. We also specialize in air dried flower restoration. If you have flowers that have just dried naturally, we can still make a beautiful keepsake out of them. YJ: What about the dress, should it be cleaned before hand or do you offer cleaning as well? FK: No, you do not need to have your gown cleaned before bringing it into us, we do it all! We offer the service of cleaning and heir looming your wedding gown. All gowns are professionally cleaned and preserved by certified specialist. Your gown is thoroughly inspected for any spots or stains, which will be treated and very gently removed from the gown to prevent future yellowing. It is then dry cleaned with state-of-the-art cleaning equipment that has been designed exclusively to treat the delicate fabrics found in wedding gowns. Next your gown is packed with acid-free tissue paper and formed on ad adjustable bodice. It is then vacuum sealed in an acid-free chest with a clear viewing pane. Comes with a 100 year warranty. We also are one of the few companies that frame wedding gowns. We custom make all our shadow boxes to fit any gown and keepsakes. 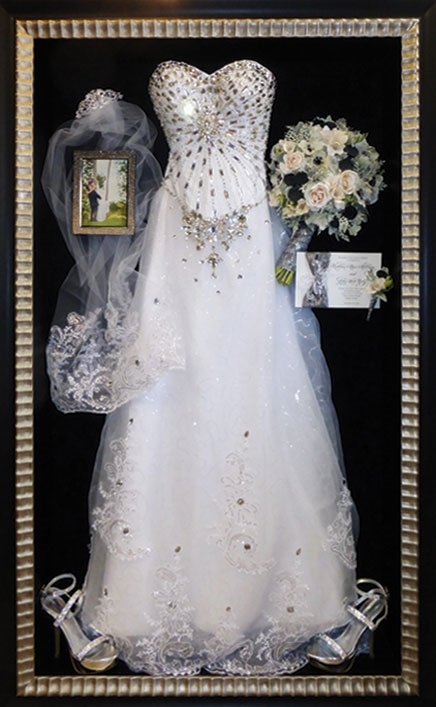 We can frame the entire gown or gather it up for a smaller shadow box. YJ: How long does the preservation process take? FK: The process isn’t fast, depending on the season, it can take anywhere from 4-8 weeks. The actual freeze-drying process takes two weeks in the machine. The freeze-drier starts at minus 20 degrees and is under a constant vacuum. Over the two weeks, the temperature is gradually increased. The process is called sublimation, the water in the flowers go directly from the solid to the gas phase without passing through the intermediate liquid phase. This process allows minimal shrinkage and the colors stay beautifully. YJ: If the bride wants to preserve her flowers but does not have a big budget to do so, what do you recommend so she still can have this special keepsake from her wedding? FK: We have many options. We offer our “best of” program where we will freeze-dry their bouquet and then after they are done, the bride can pick and choose which flowers she wants and they are only charged for the ones they keep. Most flowers range from $8-12 per bloom. This is a great option for brides that aren’t quite sure what they want to do right away. We have smaller glass boxes that look wonderful with just a few blooms and a photo, ornaments, mini shadowboxes and lanterns. For the DIY brides, they can also just take the flowers loose and create something by themselves. We also make jewelry out of customer’s flowers. We have many styles to choose from: necklaces, bracelets, earrings, money clips, cuff links. Whatever your brides needs are we will try our best to meet them! YJ: What has been the most interesting item you have helped preserve or display for a client? FK: Wow, that’s a tough one! In addition to the usual Wedding, Memorial, Baby and Anniversary items, we’ve framed a lot of unusual things over our 27 years. A few that stand out are: A beloved gold fish that a customer had had in her freezer for 3 years, we freeze-dried it, put a pearlescent finish on it and then displayed it in one of our custom glass boxes. Another one is a rubber chicken that was a company mascot, it had traveled all over the world over many years. We suspended it with clear wire nylon (so it could still be “free” and displayed it in an all glass wall case. There was a sweet couple that were celebrating their 50th wedding anniversary and the husband wanted to surprise his wife. They had kept a pineapple in their freezer for 25 years! It was from their 25th wedding anniversary. 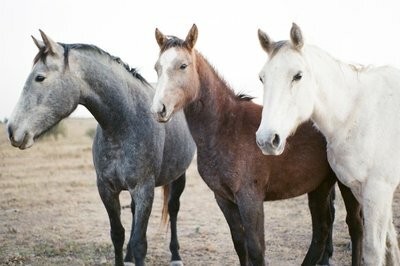 We freeze-dried it and displayed it with some of their photos. It turned out great! We have also preserved sod from the end-zone from a NCAA championship football game at the Fiesta Bowl. YJ: If you weren’t in the wedding business, what would you be doing? FK: Hmm, I’ve been doing this for so long and loving it, I’m not sure! I really enjoy interior design and architecture so maybe something in those fields. I also love the ocean, so if I could, I’d be a full-time scuba diver in some tropical island. Looking for more vendors to complete your special day? Check out our other “Vendors We Love” bog post or give us a call and we would be happy to introduce you to some of our amazing Your Jubilee vendors!